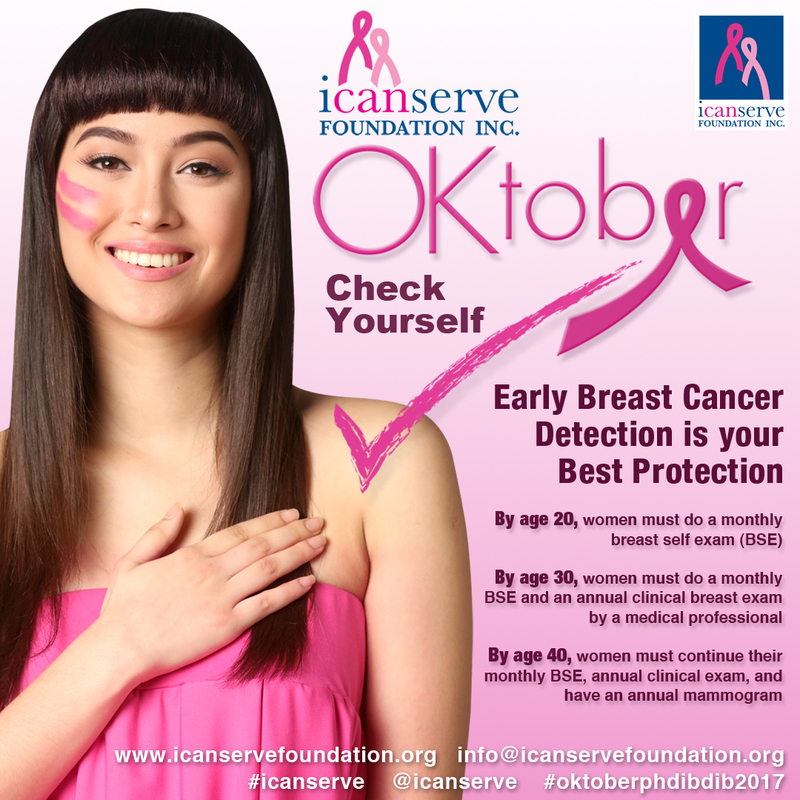 For ICANSERVE Foundation, conducting breast cancer screening should not be limited to October or the breast cancer awareness month. ICANSERVE is a non-profit that advocates early breast cancer detection through high-impact information campaigns and community-based screening programs. Since 2015, it has conducted OKtober, where audiences learn about early breast cancer detection guidelines and undergo clinical breast examination (CBE) by volunteer doctors, nurses and trained health workers. Each screening comes with free medical assistance, should the patient need. This year (2018), ICANSERVE partnered with a host of organizations for OKtober in 18 sites as follows: Rotary Tacloban (October 1); Cebu City and Tagum City, Davao del Norte (October 6); Taguig City University (October 9); Valenzuela City Hall (October 10); Metro Manila Mayors Spouses Foundation in Pasay City (October 11); Pamantasan ng Lungsod Marikina (October 12); St. Michael’s School, Laguna (October 17); Camp John Hay, Baguio City (October 19); Mindanao Breast Cancer Support and Empowerment Association, Zamboanga City and Baguio City Jail Women’s Dormitory (October 22); Barangay Bel-Air, Makati (October 20); Festival Mall, Muntinlupa City (October 25); Santiago City, Isabela and San Juan City Hall (October 26), Philhealth Ormoc (October 29); Parent-Homeroom Collaboration team of St. Paul Pasig in Father Louis Chauvet Foundation School (November 10); and Calapan City, Mindoro (November 16). OKtober is a means to remind women to get their yearly CBE, if they are 30 years or older. For many women in the barangays, OKtober is the only chance they’ll have all year to undergo a CBE. 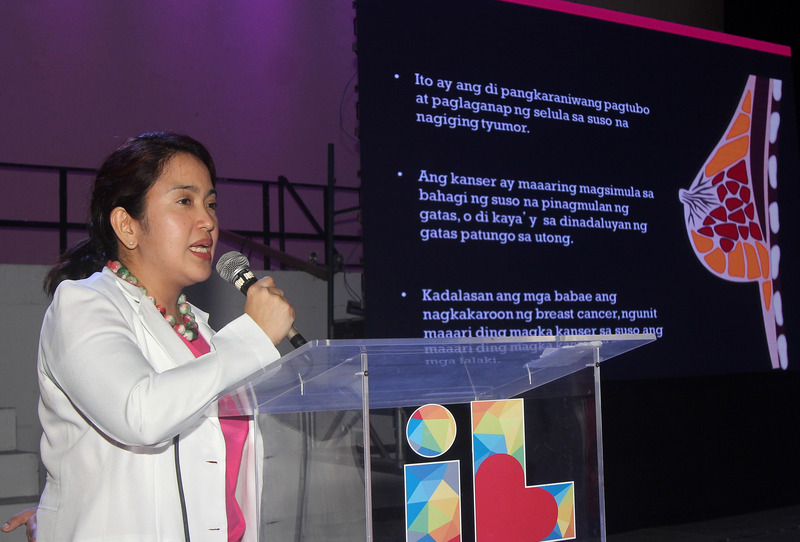 In the OKtober in Taguig, Mayor Lani Cayetano encouraged students and teachers of Taguig City University to become advocates to spread knowledge about breast cancer—particularly that it is curable especially if detected early. She wanted all women in the audience to consider their CBE as “the first step”, so that suspicious lumps would not worsen. “Breast cancer is a heavy burden on each family, which in turn becomes a problem of the local government because of the medical expenses, which are extremely financially, emotionally and psychologically draining. We don’t want to give only medication or financial assistance, but also psychological and moral support. This is why we continue to organize forums and bring these seminars throughout greater Taguig,” Cayetano said in the vernacular. The mayor considered OKtober as a program of equal importance to “protecting the future of each family”. 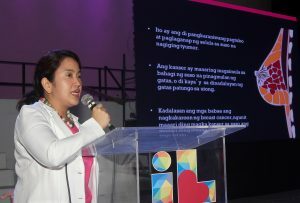 Taguig is among ICANSERVE’s first partner cities for Ating Dibdibin, a community-based screening program which includes training barangay health workers in CBE, training patient navigators, and establishing partnerships with institutions for discounted diagnostic or laboratory exams and breast cancer treatment. To make the program sustainable, Ating Dibdibin is institutionalized through a local ordinance in partner cities: Marikina, Panabo City, Taguig and Muntinlupa. 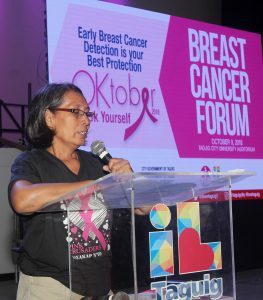 Meanwhile, doctors who volunteer for OKtober take the forum as an opportunity to bust myths or urban legends about breast cancer such as that it can be cured by herbal or natural medicine and pharmaceutical companies are suppressing these cure-alls. A 2017 study conducted by Skyler B. Johnson and colleagues found that use of complementary medicine (CM) doubled the risk of dying from curable cancers. CM was defined as “other un-proven cancer treatments administered by non-medical personnel.” The study, which was published in the Journal of the National Cancer Institute, involved the review of 1.9 million cases of non-metastatic breast, prostate, lung or colorectal cancer. The researchers found that the use of CM was associated with poorer five-year survival for breast cancer with a hazard ratio of 1.94 and colorectal cancer at 2.61 times. 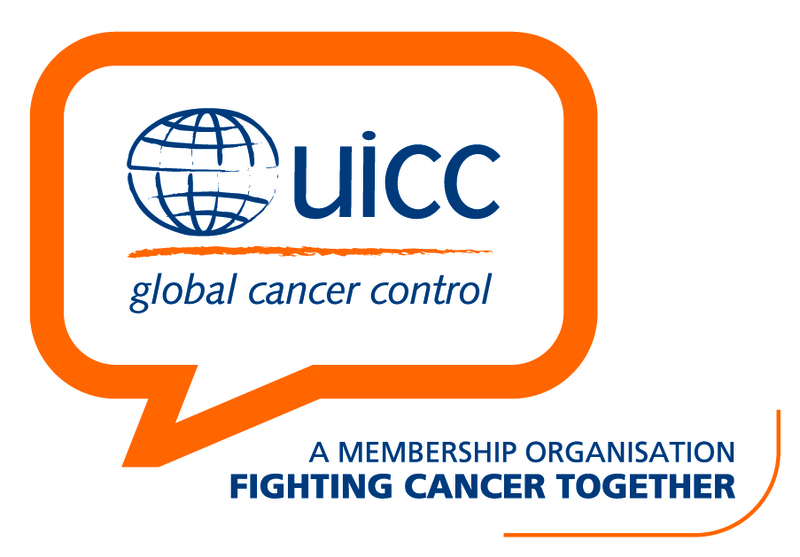 The hazard ratio, or number of times the risk of death increased, was 2.08 times for the four cancer types. *This article was first published in Manila Bulletin on November 27, 2018 (page C-2).